Sol 1686, May 4, 2017. Curiosity’s drive toward Vera Rubin Ridge is encountering locations where sand has collected into large ripples. Here we see that the rover rolled a foot or two onto a ripple then rolled back, perhaps as rover drivers tested the sand’s trafficability. Click image to enlarge it. Sol 1686 raw images (from all cameras), and Curiosity’s latest location. 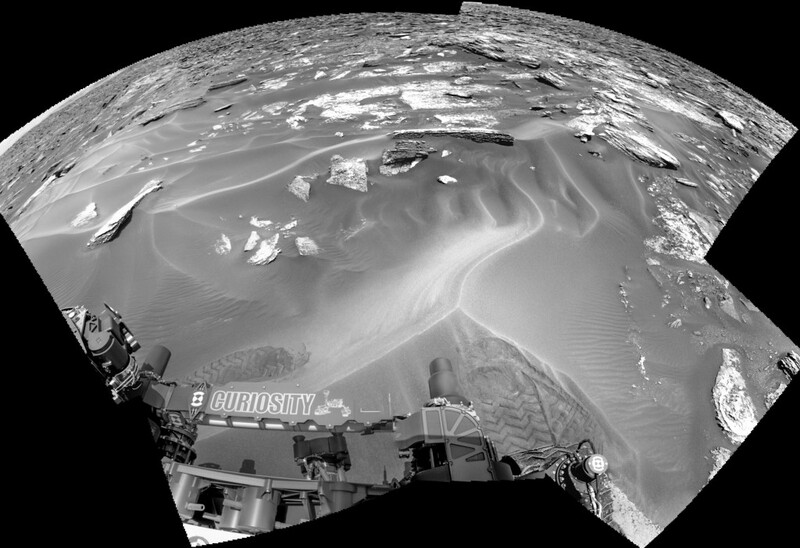 This entry was posted in Reports and tagged Aeolis Mons, Bagnold Dunes, Curiosity, Gale Crater, Mars Science Laboratory, Mount Sharp, MSL, Murray Formation, NASA, sand ripples, Vera Rubin Ridge. Bookmark the permalink.